I’m a nosey sheller. I’ve had a habit of peering into the shell bags of Sanibel and Captiva shellers for quite some time. I’m just curious as to what other beach combers are finding, what they pick up and what their favorites are. I, of course, ask them most of the time if I can look at their collection but if a bucket is just sitting there on the sand……well, it’s fair game to look inside it, right? Just to be clear- I just look, I don’t touch any body else’s shells before asking… that’s a no-no. In this next photo… HORSE CONCH, BANDED TULIP, ALPHABET CONE, LIGHTNING WHELK, LETTERED OLIVE, APPLE MUREX. 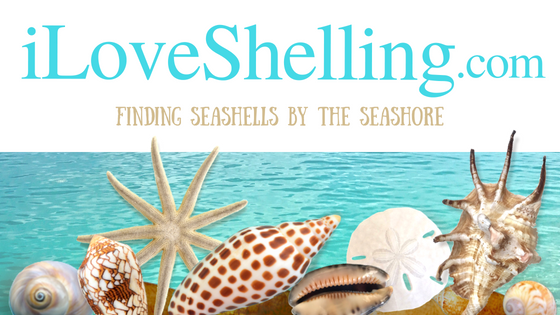 After many years of looking in shell bags and buckets (including looking at our collections too, of course), I’ve tried to narrow it down to the over all SIX favorite shells that most people collect on Sanibel. Yes, it was hard to narrow it down but I left a little room for interpretation…. like CONCH could be the FIGHTING CONCH or the KINGS CROWN CONCH. MUREX could be APPLE MUREX or LACE MUREX and so on. I didn’t want to add the JUNONIA since it’s not a shell that most people can find on a week’s vacation (that’s part of the Elite Three!) . I really wanted to name six shells that could actually be found on a week’s shelling vacation using the different variations of these shells. Of course the CONE shells will be the hardest to find- but that’s what makes it so much fun… the hunt! So this is how I made up the phrase “The Sanibel Six” …. There was a huge shell pile still there. People were filling up buckets and bags with OLIVES, MUREXES, TULIPS, WHELKS and CONCHS. Three people I talked to said the shelling on Wednesday was fantastic (Darn! I had jury duty- ugh) at the very same spot but the only difference was that they were finding CONES. Unfortunately, I didn’t have time to join the fun with “shell chatter” (definition: shouting out to anyone around you “Hey! I just found a BANDED TULIP!” or “Whoa! I just found a piece of JUNONIA!) but I wanted to let you know what the shelling was like yesterday afternoon and what people were finding. And another version of Sanibel Six with the DUSKY CONE as a different variation of the CONE shell. It’s so much fun to come up with different versions! If I had only found a little RICE OLIVE on the evening I found these… it would have been a very cool Mini Sanibel Six version. I did contemplate adding the NUTMEG and MOON snails but don’t seem to see them as much in bags. Lots of my faves didn’t make it since most people don’t collect them.. ie- WORM SHELL and WENTLETRAP. And it seems most people don’t get as excited about the bivalves either. I’d love to hear what you think the SANIBEL SIX would be. To see where lots of the Sanibel Six are found, go to SEASHELL IDENTIFICATION page and click on the pictures. Love the six you mentioned, but I also love to find jingles and attached coquinas. They look like little butterflies to me. Won’t be down until the first week of June. Can’t hardly wait! I love the shark eyes and those little bubble shells…they are so cute! I have to say the olives are my favorite even if people think they’re boring. When they’re super shiney I just love the feel of them. Used to love the Angelwings when I was a kid though. Shark teeth are so exciting to find even though not a shell…I guess that would be in the “treasure” catagory. The Sanibel Six, I love it!! It sounds like a gang, ha!! You are too cute Pam, and what a brilliant idea!! I would pick the same six, even though I love the wormies, it’s not a favorite of most Sanibel Shellers, therefore not worthy of the six. ;) When can we expect a children’s book about the Sanibel Six?! You go girl. The shells you picked are the most common I’ve found too. I like otheres like strawberry cockles, bittersweet calms, and pricklly scallops too. Just what I prefer. And coral and live shells are always a good find. I agree with that The Sanibel Six, it is good. And Deb’s idea about a book for kids sounds great. I also love the worm shells, but my most favorite are the whelks. They come in so many colors. Dark brown is a real prize for me! 11 days and counting till I can shell for real. As soon as I put it together, I thought the same thing about a tee shirt! You know what they say….great minds…. heehee I’m on it, girl! The children’s book will get written when I find that spare time I’m always looking for ;) ….. but it sure is tempting! Will you be my consultants if I do it? Wednesday was an Amazing day there…found a 10″ Horse conch and many cones. I love picking up everything else and giving them to people around me. It’s like treasure hunting…especially when you get to meet so many great people and finding what you are searching for. I found a 2 1/2 sharks eye there last week and showed it to a few people…a couple brought there young daughter up to me and asked if I would show it to her…I said sure…I put it in her hand and watched her eyes light up…paused…and told her “It’s yours”…I’m still smilin’. Don’t forget about the Nutmegs and Drills!! They are among my favorites!! I love finding all of the tiny Drill shells at Lighthouse Beach and when I was last in Sanibel in January I found many Nutmegs!! Love looking at this fabulous site every day and knowing that there are so many “Soul Shellers” out there!! Beautiful pics of the pass. The water is getting so clear. I think you are spot on with the six although if I could find a wentletrap anywhere other than the lighthouse pier I would add that one to the list. I agree, the wentletrap is rarer and therefore more “Sanibel” – it’s a real prize. I would have to put calico scallops in there somewhere…although angel wings and horse conchs are my favorites! Blind pass was so clear!! Will be there next week (Thursday) hopefully the good shelling will continue….note to self….get to blind pass this trip before it closes again!! Thanks Pam for all the updates, I visit everyday to stay up to date on my most favorite place!! I agree…that would make a great t-shirt! I have had very little luck over the years finding alphabet cones. I found one last week that was very beaten and battered but I picked it up. I looked and looked for babies’s ears and wentltraps wit no luck. I found lots and lots of live shells last week (all of which I left on the beach or in the water). Live whelks, olives, murexs, cockles, etc. Shells I had never seen alive before! Sad because I couldn’t collect them but happy because it means the gulf is in good health! The 8″ True Tulip I found last Oct. I love the orange scallops. It brings up everything wonderful about Sanibel in my mind! I’m surprised to hear that Wentletraps and Wormies aren’t picked up as much! I was desperate to find me a whole bunch of Wentletraps to make something cute with and alas, I only found ONE!! I wanted a heaping cockle full. They are definitely one of my faves. The water looks soooo blue and calm! Beautiful beautiful Sanibel. OK I just want to know where you shell and can I meet you there for luck. I’d have to add turbans. I love when I find that orange color and who really can resist a scallop with the orange bands that look like sun rays. But sharks eyes and really sharp pointed long augers are great too. Alright alright I admit I love them all and am just thrilled when I find any perfect “6”. awwwwwwwwwwwwww….that pic of the sanibel six…..I sat right there for foreeeever, waiting for my abundance to come to me!!!! so much fun….a real memory maker for me! I didn’t find any rare ones but the ones I did come home with are real treasures to me!!! How about the Sanibel Six, and then the Mini Six–Wentletrap, Coquina, Candy Corn, Wormies and a couple of others? I have been shelling Sanibel, Captiva, Cayo Casta for 20 years. One week each year. Capt Brian Holloway is a very good friend, he has witnessed many of my finds. I found 2 Junonia’s at Cayo Casta and 2 right on Sanibel, one at Bowman’s and one at about the Holiday Inn. I found 2 Sundials on Sanibel on the same day, a little one and the biggie, and they are the only 2 I have ever found. I found one of the Golden Olives at Blind Pass, the other one I don’t know where. I found it a long time ago, didn’t know what it was. Same for the wrong handed welk, found it a long time ago, didn’t even know about it until I read about it. Give me your email I will send pics.The huge whelk was found at Cayo Casta at extremely low tide, and 200′ off shore, WAY OUT THERE! The Tulip was found at Cayo Casta under a rock cropping by the submurged mangrove stumps, ask Brian. I will be there 1st week of Nov.
How about a t-shirt with pictures of ALL the different kinds of shells(with names)? I love them ALL! I think you hit the head with the are the shells I am always on the lookout for when I come to Sanibel. Although, I also have weakness for scallops of all types. The variety of colors and patterns is never ending and I can’ resist picking up the orange ones, especially . I think the tee shirt idea is great! I would buy one. Simply put- I love them all!!! I love your new word furbabies! hahahah love that shell chatter!!!! There should be six celebrating uncommon shells too. What is your advice when it comes to sand fleas and no-see-ums? Especially in the morning low tide before sunrise. Also, what beach do you have the best experience at for low tide shelling? Thank you! What are all of the shells in the mini-mix? I have some that look like them, but wasn’t sure if they’re (mostly) juveniles of bigger ones or if they are different species. Thanks! I’m definitely going to have to google this. We were eaten alive this month on our last day of our first ever Sanibel trip.